When I bought my E-M5 I didn't dream of it being as good as a D800. To me it's good enough if it can compete with the APS-C cameras. I had a Canon 40D which is a very good camera, some say it is the best IQ of all Canon APS-C so far, although only 10 MP. 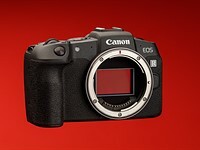 If I should believe DxO an E-M5 is better than a 40D and all other Canon APS-C, including the lastest ones. I think that is good enough and I don't have a need to compare with the best FF cameras. On the other hand, comparing with APS-C sensors with the latest technology like those from Nikon and Sony, the E-M5 is that much behind that the difference in sensor size implicates. Still it is interesting to see that the differences are not bigger than they are in real life. Just for fun you can consult DxO to see how E-M5 competes with a little older FF models, also high regarded ones. You'll find it competes rather well, which may be to some comfort if you envy FF shooters. If a pro FF like 1Ds MkII rated 74 was good enough and the best you could get only eight years ago an E-M5 rated 71 should be good enough today. Amazing how fast sensor development is.